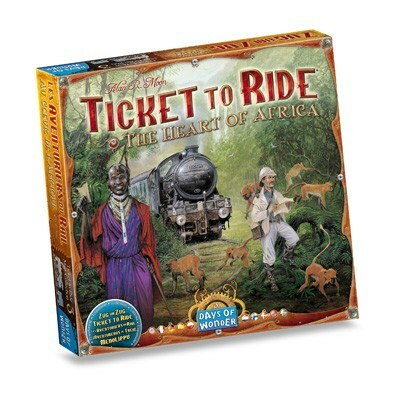 The third map in the Ticket to Ride Map Collection was released just before Christmas. I was surprised to find it under our Christmas Tree on Christmas day. Kristine and my buddy at Downtown Comics conspired to deliver an unexpected treat. Every expansion offers a new experience. New destinations are fun but the introduction of a new game mechanics is what really keeps the game play fresh. 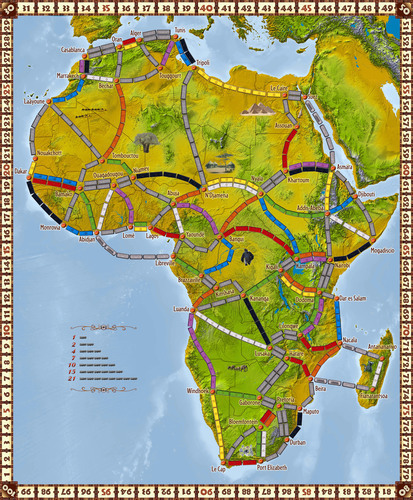 The first two special maps were Asia and India, this one is called The Heart of Africa. 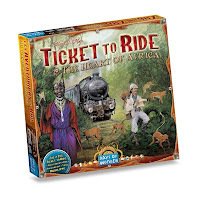 The game is much like the other’s with the exception of the addition of a terrain cards, which have to be placed face-up on the table. The mechanics for the terrain card add a new dimension to the game. You play them when claiming segments (routes between cities), doubling the points you receive. There is a caveat; you have to have equal or more of that type of terrain cards than other players in the game to claim the segment! 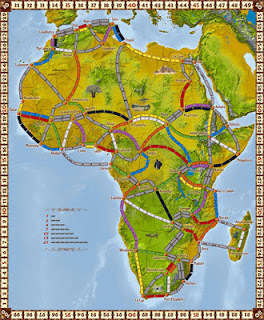 It reminded me a little of the tunnel requirements in Ticket To Ride Europe. If you are looking for a fun game for up to five people, Ticket is my top recommendation. You can find a copy at Downtown Comics on Duckworth Street located right next to the Marriott.